Two panels, “Meaning of PCT’s Church Partnership” and “Role of Ecumenical Movement in supporting PCT” among the International Forum of the Mission of the Church in Taiwan Today held by PCT from February 14 to 17, specially discussed the backgrounds and implications of PCT’s participation in ecumenical movement since 1950s. As an enthusiastic supporter of ecumenical movement and the only Taiwan denominational church participating in the central committee of World Church Council(WCC), PCT had worked with about 40 ecumenical churches around the globe, said Mrs Cheng Min-Ming, former PCT representative in WCC central committee. Mrs Cheng expressed that, as PCT had been severely controlled and infiltrated by KMT(the Chinese Nationalist Party) in 1940s and 1950s, the renown Rev Kao Chun-ming and his ten church co-workers were soon arrested after Taiwan’s first ever democratic event – the Formosa incident – was broke out on 10 December 1979. In 1980s, it was a time period that PCT did receive most cares and concerns from the ecumenical church bodies, Mrs Cheng said, adding that PCT’s strong advocate in the issues of youth, women, and aborigines was also greatly enlightened and inspired by the ecumenical partnerships since then. 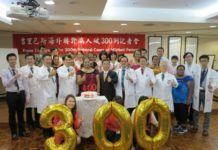 As a consequence, PCT started to share her experience in the ministry of first-aid relief with ACT Alliance in recent years, Mrs Cheng remarked. But, after the China’s Christian Council(CCC) was successfully admitted into WCC in 1991, due to CCC’s shameless kowtow to the political will of the Chinese Communist Party, PCT’s identity within WCC became greatly jeopardized and frequently asked to change name to become a part of CCC. 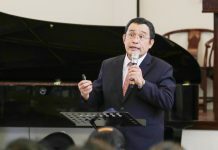 As many ecumenical churches were also aspired to develop ecclesiastical relationship with CCC, the issue of PCT’s difficult identity in WCC seemed to be neglected or even intentionally overlooked by most partner churches, Mrs Cheng reported, adding that this was very unfair for a productive ecumenical member of WCC like PCT to be treated like that! Concurring Mrs Cheng analysis, Rev Prince Devananadan, the President of The Methodist Church of New Zealand, spoke out in straight and challenged the audience: why the voices of self-determination from Taiwan and PCT had been seldom mentioned in WCC’s files and documents? Was such dishonorable action in ecumenical community only to appease some strong powers? Rev Devananadan reminded the audience that the Taiwanese as an independent people absolutely deserve to have a sovereignty country to rule themselves.